Pigface (Carpobrotus edulis), a tough, mat-forming succulent, was an emerging weed on the Swan Coastal Plain capable of smothering native flora and facilitating the invasion of other weeds, a Department of Environment and Conservation (DEC) spokesperson said. The DEC said the perennial was planted by Main Roads WA to stabilise banks beside the new freeway about three years ago and was now found across large areas of the reserve. But Main Roads has denied responsibility for the pigface proliferation at Paganoni reserve. Main Roads environmental project manager Alan Grist said flora studies in the early 2000s revealed 100ha of the weed on the shores of nearby Serpentine River. 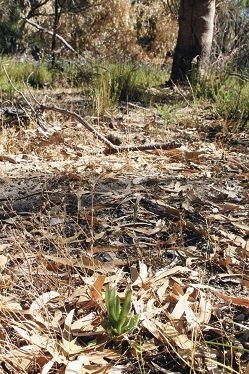 The Main Roads spokeswoman said the organisation had since identified the species as unsuitable for use in revegetation. ‘Main Roads has met on-site with Friends of Paganoni Reserve and DEC, and has agreed to undertake removal of pigface in the freeway reserve in the vicinity of Paganoni,’ she said. The DEC said Friends of Paganoni members have had to remove seedlings from the reserve by hand and studies had shown a prescribed autumn burn had facilitated the weed’s spread with seedlings only present in the burnt area.